The Boone County Sheriff's Office has a rich history in the office of the Sheriff, dating back to 1847. 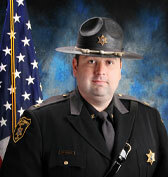 Below you will find photographs of most of our past sheriffs. If you have any information to add to any of theses gentleman or if you have any of our photographs we are missing, please let us know.